People tell us all the time that we grow the most delicious chicken that they ever ate. When you taste one, you will know why they are popular. 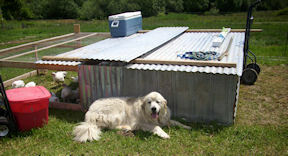 Our chickens are raised on pasture, grass, insects, certified organic feed, and fresh air. You can reserve your whole chicken and save by buying chicken shares. You can pick up fresh chickens from the farm on dates that we will announce here on our website, on Facebook, and by email. 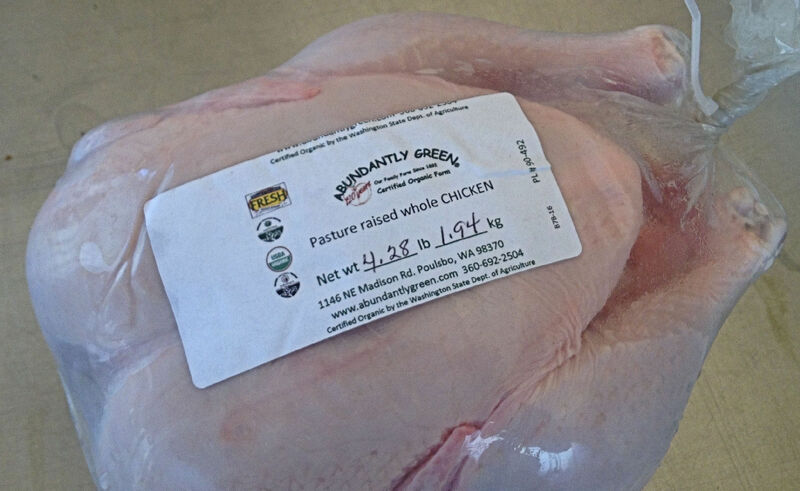 Frozen chickens are available at all times, at the Farm Store and the farmers markets. Whole chickens range in weight from 3 lbs to 6 lb. The chicken share assumes the average 5 lb weigh, The number of chickens that you will receive is based on weight. The pickup location gives us an idea of where you prefer to pick up your chicken, however the best selection is at our farm store. You are always welcome to pick up your chicken at any location.